There are five shades in this powder, and Soft Beige is the second lightest shade. As you can see it has quite a yellow tone to it and is nicely pigmented for a powder. The yellow tone I don't mind at all as I have a bit of redness in my skin which it helps to reduce. The powder ticks off a lot of powder, but I like how it blends on the skin. There are four shades of blush available, so it's not the most extensive offering available, but the pan sizes are really big which is a plus. The shade Rose is a bit glittery, but very pigmented, almost verging on the too pigmented side because the first time I used it I went in too heavy with the brush and picked up a lot of product. I found it a bit harder to blend out, so keep it light and build it. The pan kicks off a lot of powder too, so tap the brush to release any fallout. Applying my base products with a sponge is definitely my prefer way, so a sponge on a stick is quite a good idea! You dampen this one as you do with other sponges, but I find it to be quite dense and not as bouncy as I would like. For under the eyes, it's quite good to use as the tip is the perfect size to get right in there. I was expecting a lot more oomph from this mascara, but found that it was a bit dry and almost like small fibres - perhaps mine was a little old and had dried up, but I'm not too sure. The website says that it should give volume from the first application, but I found it just gave a bit of volume at the root of the lashes but it didn't do much for the lengthening. 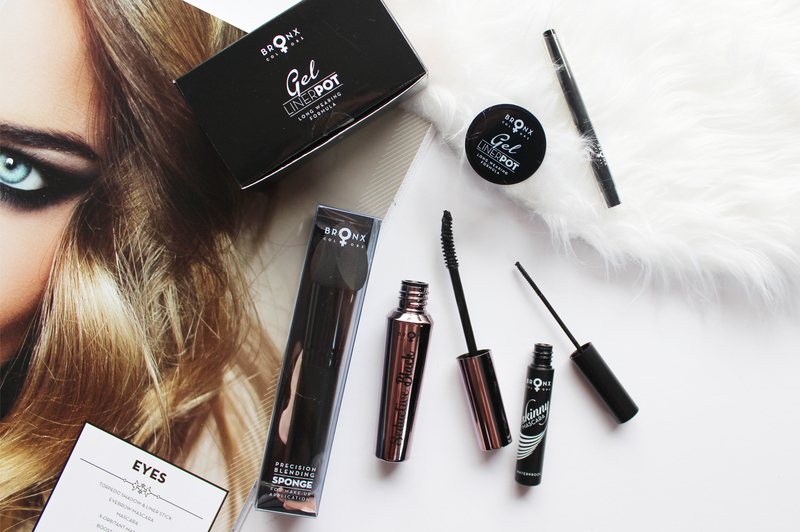 If you prefer your lashes to look more natural but defined this would be for you. Personally, I like them volumised and lengthened and fi I am going to wear mascara I want it to make an impact! The curved wand is nice to use though and lifts the lashes up coating them evenly. If you buy one thing from Bronx Colors, make it this mascara! The wand is teeny tiny and very skinny making it ideal for the bottom lashes. 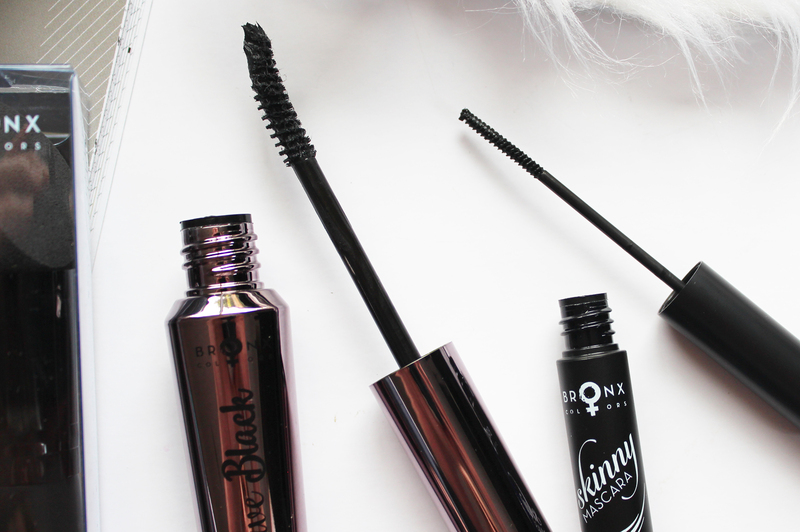 It doesn't clump them up, instead, it grabs each little lashes and coats them evenly with a super black colour. Would you believe that I have never used a gel eyeliner before? I just think the idea of them is a hassle, as I much prefer liquid eyeliner in pen form. I haven't used this one on the eyes yet but the colour is a dense black and I was amazed at the payoff with just one dip into the pot. It comes with a small eye brush, which isn't bad at all, but you might prefer to use your own. These domed lip balms come in six scents with shea butter, natural oil and Vitamin E to condition and treat lips. I've not tried them on the lips yet as I have far too many balms at the moment but from smelling them, they are pretty delish! 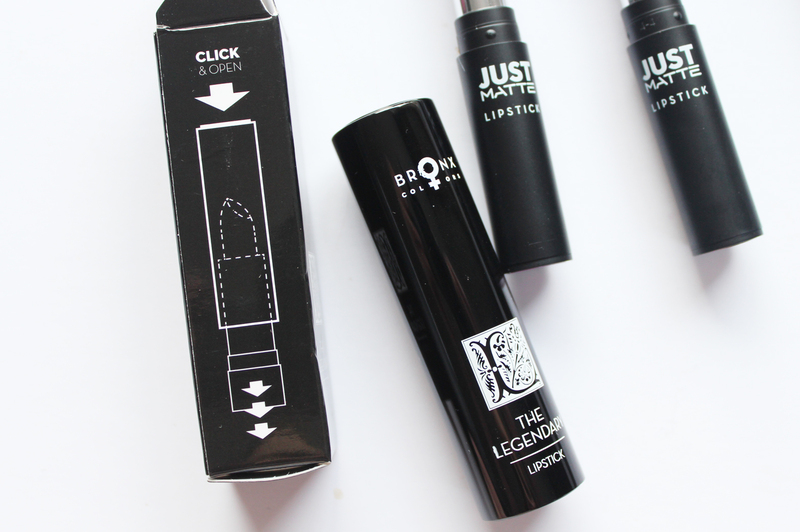 This is one of the coolest/novelty packaging for a lipstick - you click the top and the lipstick pops out of the bottom! The colour range looks really good too, with 8 shades available. 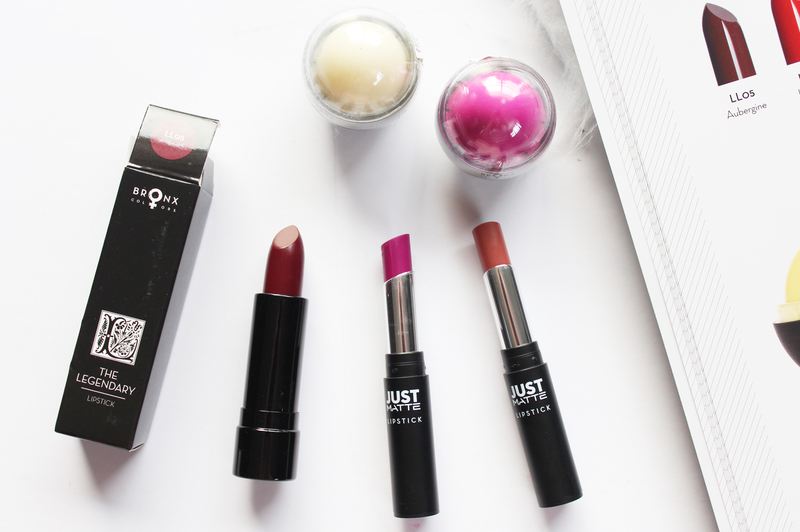 Aubergine is a lovely plum berry, the pigmentation is good and the formula is creamy and hydrating. 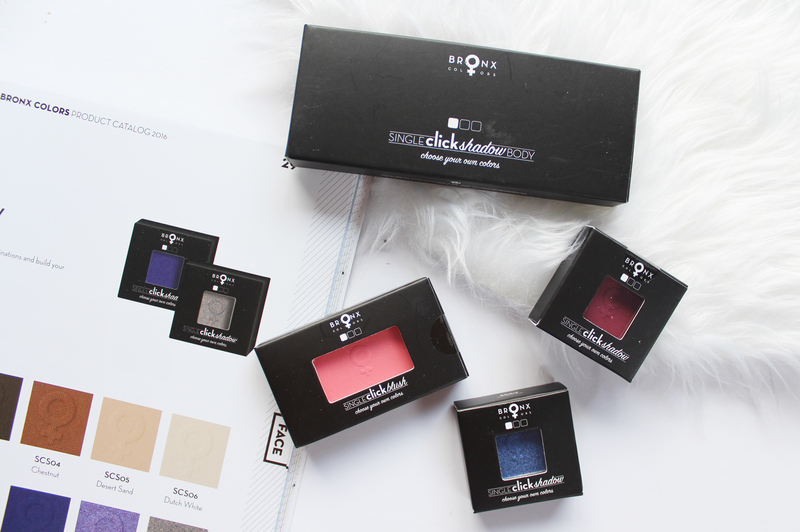 The other lipstick formula they offer is the Just Matte Range, with 8 shades available in these small skinny tubes. These have a definite matte finish to them, but they still transfer but are a bit more long lasting on the lips. 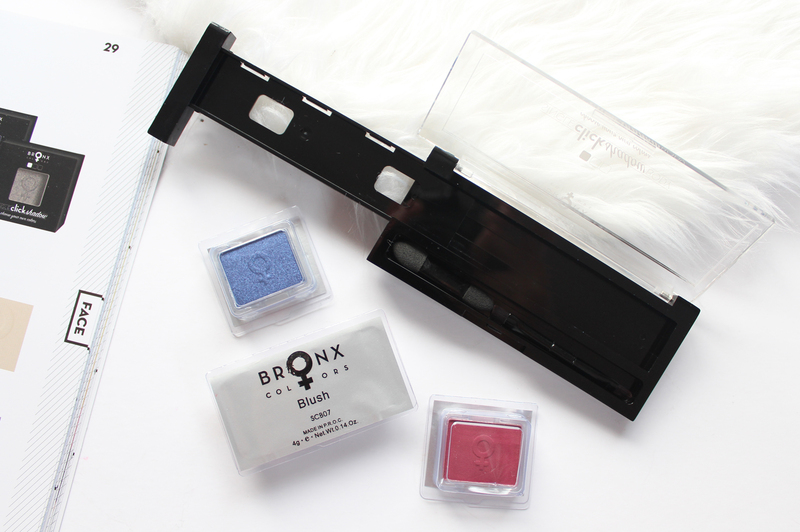 A unique product from Bronx is their customisable 'Single Click' palettes, which can hold 2 blushes and 4 eyeshadow pans (or 1 blush, 2 eyeshadows etc). You buy the Single Click Case* for NZD $8.99, where the left end slides off and you can easily slide the pans in which secures them tightly. The packaging of the case isn't the greatest quality, but I like the idea of it. 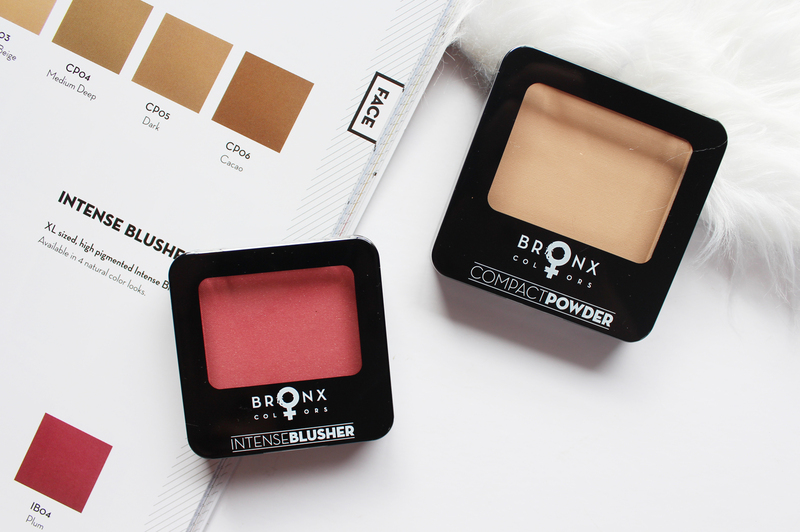 The blushes come in 6 shades and there is also a contour and highlight option too. 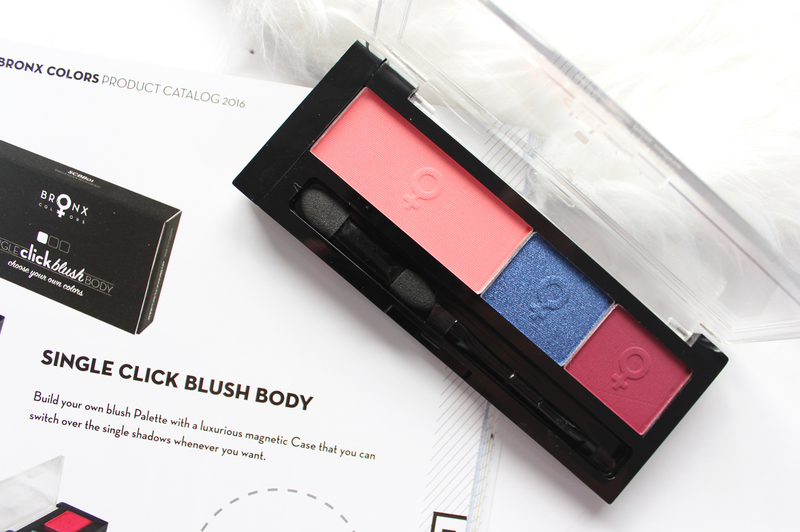 I really like this blush as it's matte with no shimmer and the colour is exactly what I like reaching for. At $6 a pop I think these are great shadows with really nice pigmentation from the ones I was sent. Air Force Blue is a stunning metallic blue, and Burgundy is a very pretty matte dark pink/red. There are 24 shades to choose from in a variety of finishes. I already talked about this in one of my recent Most Loved posts because I absolutely love this palette. The pigmentation is incredible (I will do a separate post with swatches) and I love how they blend on the lids. The second eyeshadow palette I was sent is the Angel Dust selection which comes in a tin (much like the L.A. Girl ones, if you are familiar). 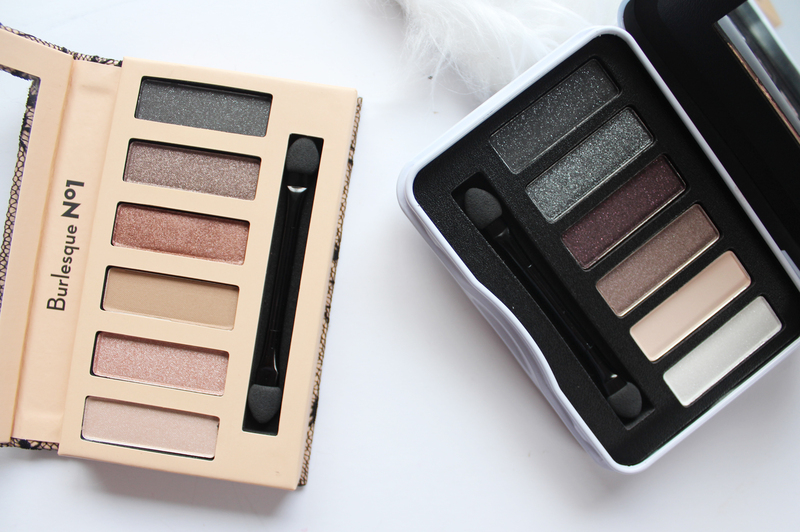 This also has great pigmentation and a beautiful palette for creating a deeper smokey eye. Overall I think there are some pretty great products in the line up and it's nice to try out a new brand, plus it is cruelty free. All the products can be found on the website, and they have free shipping for orders over $30, or it's only $3 for under that - a darn good deal! If you want a little discount you can use the code TAKE15 for 15% off your first order! 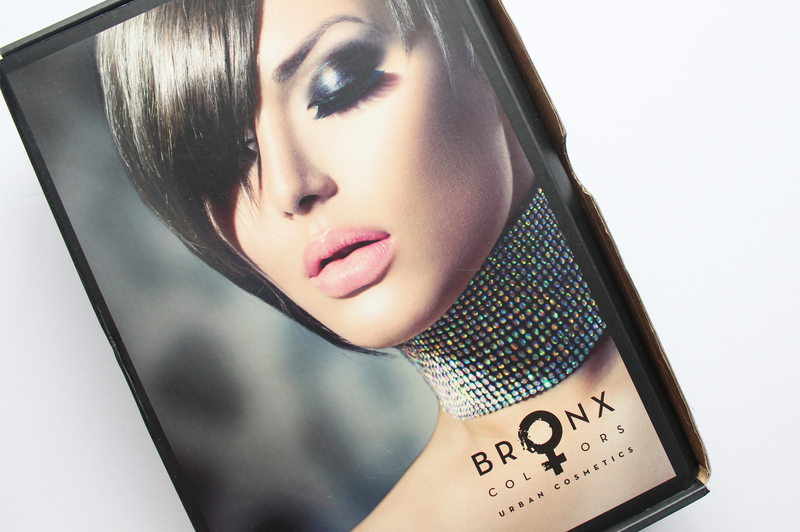 Will you be trying any Bronx Colors products? What do you think of these ones?